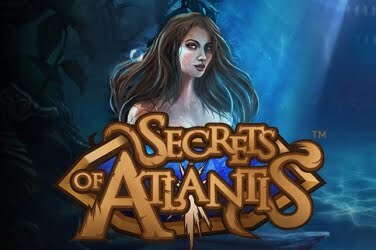 Lost Relics slots has been eagerly awaited by numerous players until it was finally released in May 2018. 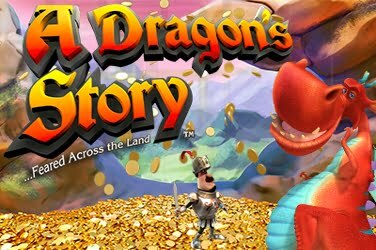 It can be found in Net Entertainment online casinos and comes with an Archaeological theme. With treasures that can be found along the way in an ancient tomb-like setting. The 5 reels of the game can be found etched upon a stone wall, each of the symbols intricately designed. All the images are in 3D and the designers have created this slots so that it is compatible on numerous devices. So whether you are on a PC, Laptop or Mobile (including Android and iOS) the graphics will look stunning on any size screen. Rather than the usual structured pay lines that you may be more familiar with if you are a regular to online gaming this particular release offers players with Cluster Pays. 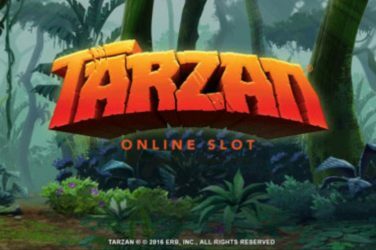 But with various Features both in the Base Game and the Bonus Round this slots deserves to be investigated further if you like the Indianna Jones style of play. 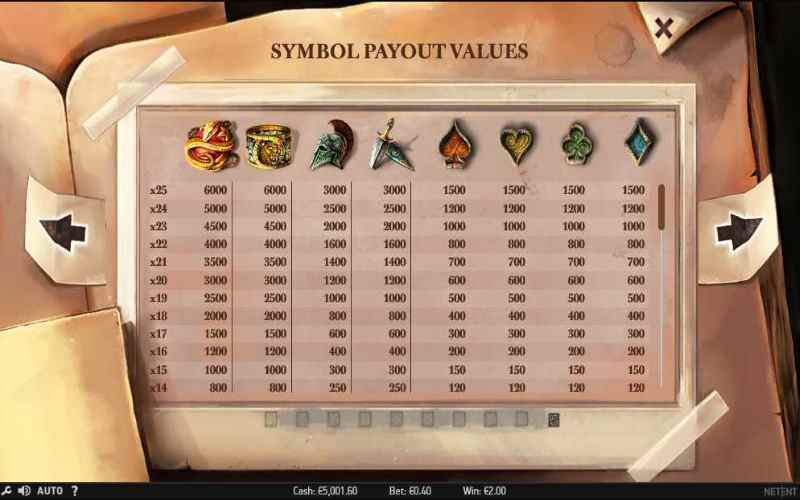 The lowest paying symbols in the Lost Relics slots game are depicted as card suits. So there is a Heart, Diamond, Club and Spade symbol which will appear regularly throughout while the reels spin. Offering a slightly higher pay out is the Daggers, Roman Helmet, and gem encrusted Ring symbols. But when the serpent entwined Ruby lands then you may just have 6000 coins added to the current jackpot balance. Wild – a Wild symbol isn’t used in the Base Game but winning symbols do change to Wilds when the Features are activated. 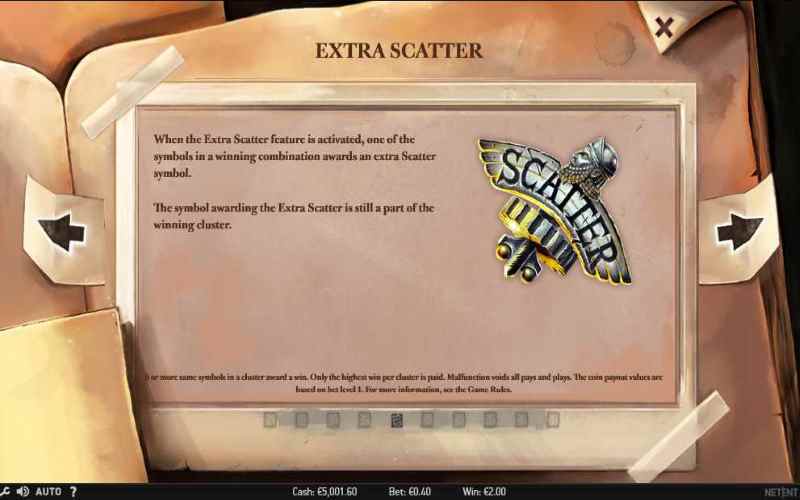 Scatter – the “Scatter” is a shining silver symbol and needs to fall onto the 1st, 3rd, and 5th reels so that you can be rewarded with a Bonus Feature. Coin Win – a symbol included in a winning Cluster will change to reveal a Cash Prize which can range from 3x – 30x the stake placed on that spin. 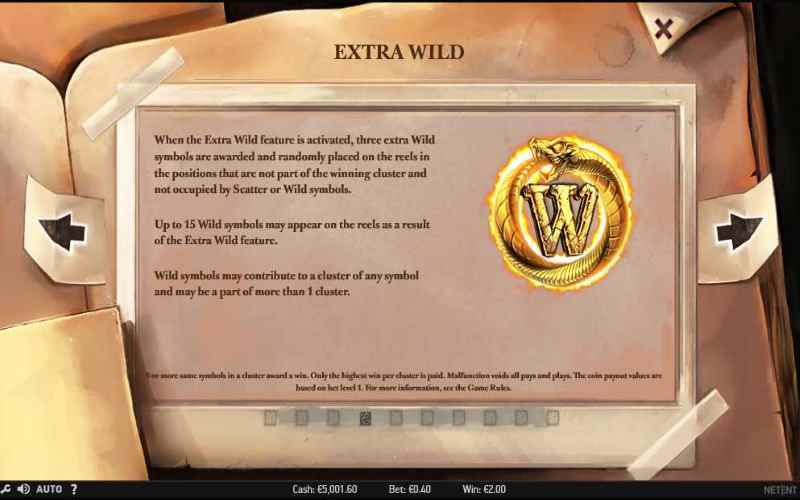 Extra Wilds – 3x symbols are changed to Wilds which can then be used if they will create a win. If this Feature is selected 5x then 15x Wilds are added to the reels so some players will see a decent return if luck is in their favour. Extra Scatter – 1x of the symbols on the reels will change to a “Scatter”. This can either result in another Cluster being generated or the opportunity to activate the Bonus Feature. 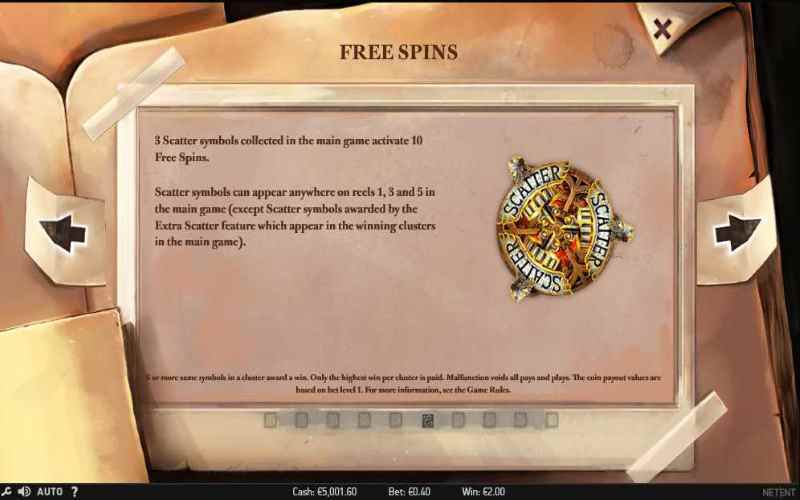 Free Spins Round – a “Scatter” symbol needs to be rolled on the 1st, 3rd, and 5th reels to get to this element of this slots. 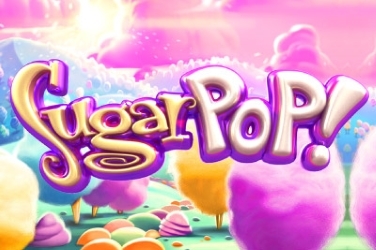 Now not only will you get 10x Free Spins but there are other Features to keep the fun going. 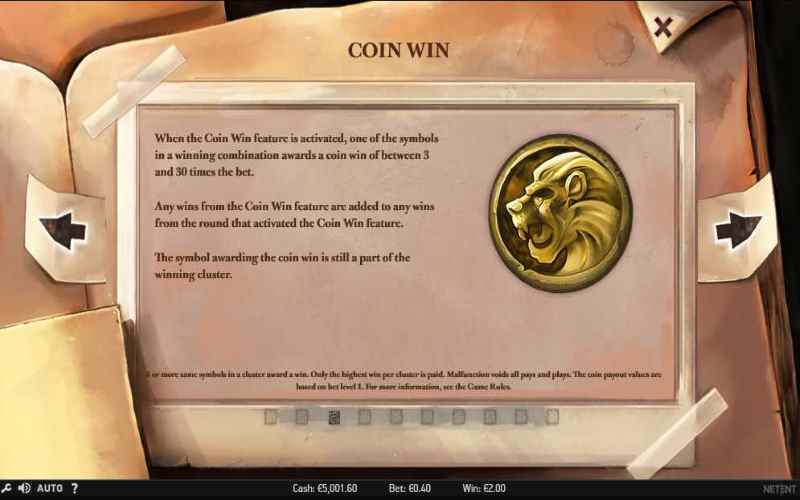 Coin Win – this can be any amount up to 30x the wager placed. 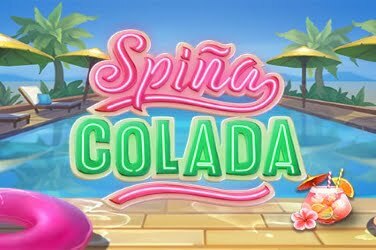 Extra Free Spins – an additional spin is added to the amount left on the counter. Sticky Wild – 1x symbol will change to a Sticky Wild which will remain in play until the Bonus Round has ended. You can use the +/- buttons on the screen to determine the amount you want to wager. Net Entertainment have ensured the game is appealing to both high and low rollers by setting the coin range to 0.20 to 400. So no matter the budget you can give these reels a spin and see if it’s one for you. The Cluster Pay method that the designers have used in the games format means that you need 6 or more matching symbols that are adjacent either vertically or horizontally. This along with the various Features gives plenty of opportunity to add to the original bet made. There is an Auto Play Feature included in the game but if you want to take advantage of all the fun on your adventure then you may prefer to keep hitting the Spin Button. Coin Wins, Wilds, Scatters all adding to the final jackpot when they are found across the 5 reels. 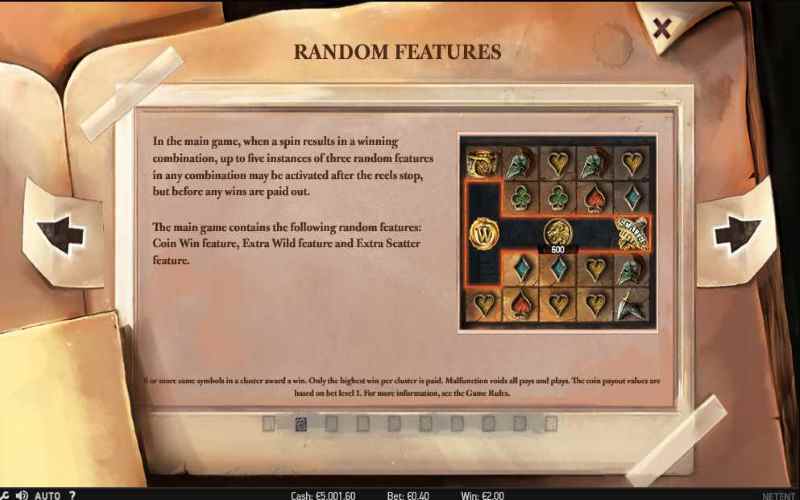 Offering a RTP of 96.30% Lost Relics slots is considered to be a Medium variance game. 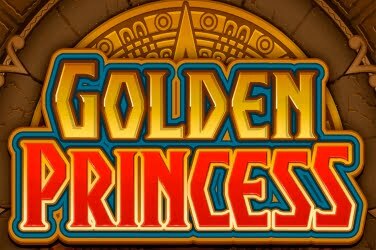 And although there is no Progressive Jackpot there is plenty to keep you entertained once you have set the reels to spin if you enjoy the treasure hunting style theme. 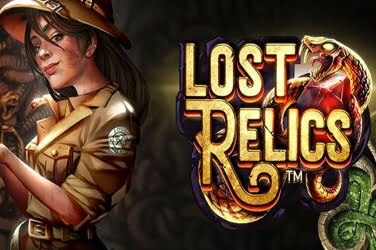 Lost Relics is a non-progressive 5 reel cluster pay line video slot game from NetEnt, it has a Adventure archaeological theme, and comes with Wild, Free Spins, Scatter symbols, Cluster Pays. 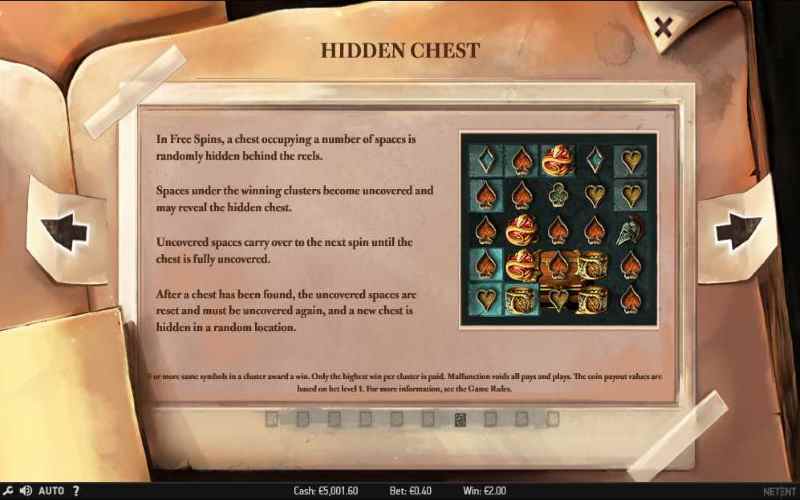 Lost Relics has a maximum jackpot win 6000 times your stake.